Judging from the large number of people who availed of this opportunity to have a one-to-one consultation with an experienced forestry adviser, many farmers are considering how forestry can make their farms more viable. Your first port of call should be your local Forestry Adviser. He or she will be able to give you objective answers to many questions. The first question that needs to be answered is if your land is eligible for forestry grant aid. This depends on a wide range of factors. What is the soil, exposure or drainage like? There is a simple rule of thumb regarding soil suitability. Trees are like ‘oversized’ grass: the better the land, the better it will grow grass and therefore the better it will grow trees. 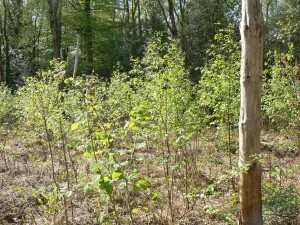 If the land grows grass very well and is very sheltered, then broadleaves can be considered. If the grass is poor to fair, then it will have to be conifers. If the land doesn’t grow grass well then the land may be excluded from forestry grant aid – this applies particularly in areas growing mainly heather. Various designations such as Special Areas of Conservation, Fresh Water Pearl Mussel catchment areas, archaeological sites, etc. may also have an influence on your application. Other restrictions include electricity lines, nearby houses or the presence of deer must also be taken into account. Once you have established that the land is likely to be eligible for forestry grant aid, then the next question that needs to be answered is what you want from your forest? That is a question that only you can / should answer. If you want to grow a tree crop on the farm with a decent financial return then you should consider planting (mainly) Sitka spruce. It grows fast and naturally straight – maturing in 30 to 40 years. It is able to grow well in less than perfect conditions, Irish mills are geared up for it and it provides a very decent return at the end of the rotation. Young farmers are in a great position to benefit from having forestry on the farm. Planting a forest on an outfarm or an awkward hill that requires a lot of inputs but very little return from farming, will provide a very attractive pension fund 30 to 40 years later. At the same time, the farmer will get a cash injection for the first 15 years while freeing up time to focus on the more productive areas of the farm. Keep in mind that no one is telling you to plant commercial, fast-growing conifers. 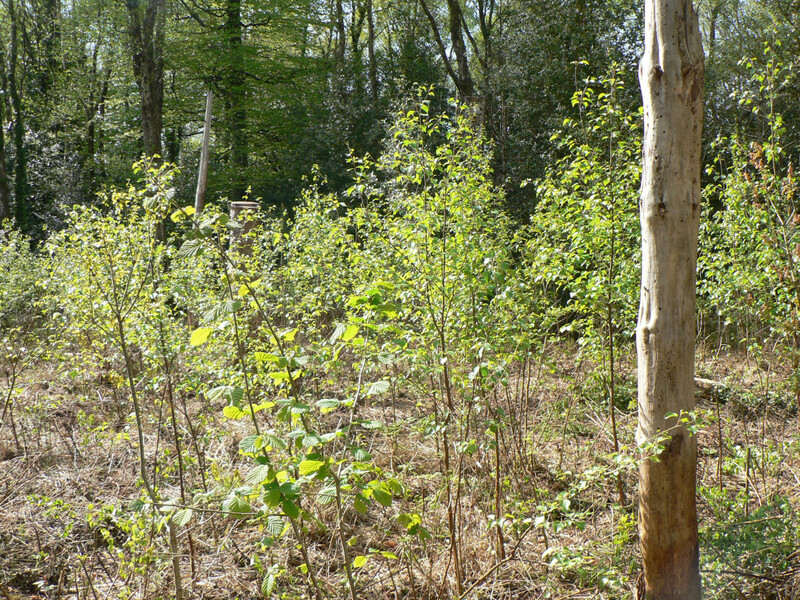 Maybe you would prefer to create a native woodland with a very high biodiversity value? If so, the focus should be on native species, minimal site disturbance and long-term ‘close-to-nature’ management. This approach also presents opportunities for planting in environmentally sensitive areas such as Special Areas of Conservation (SACs) and Special Protection Areas (SPAs). Other options such as agroforestry are also available. 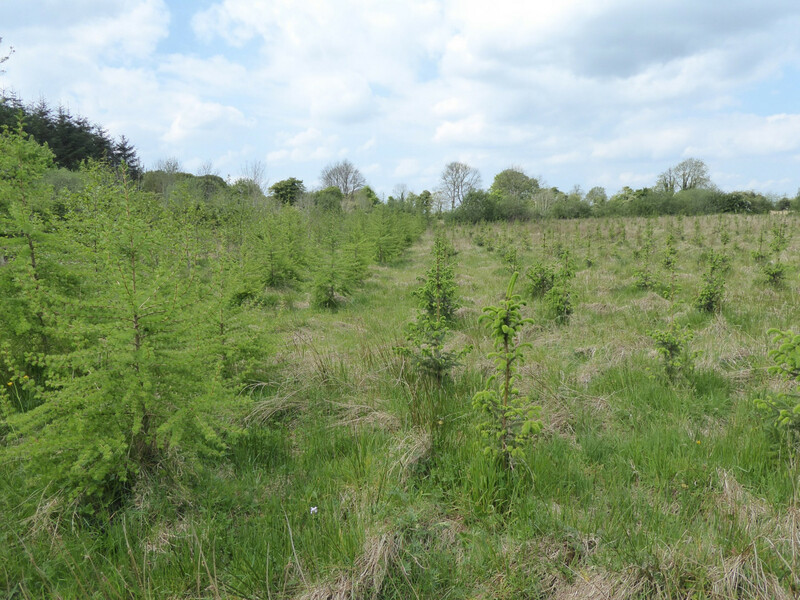 A question that needs to be answered is what effect establishing a farm forest will have on other farm support schemes such as BPS, ANC, GLAS, etc. For instance, you may be able to continue claiming the Basic Payment on the afforested land by meeting very specific conditions. Eligible land that was declared in an SPS application in 2008 and which was afforested in any year since 2009 can continue to be eligible for a BPS payment provided it satisfies a number of conditions. One of the most important conditions is that applicants, who plant part of their holding from 2009 onwards, must retain at least 10pc of the eligible hectares declared in 2008 in an agricultural activity, subject to a minimum area of three hectares. This is in order to continue to be regarded as an active farmer for the purpose of retaining eligibility for BPS. You are changing land use from agriculture to forestry and therefore the Forestry Act 2014 will apply. This means that after harvesting the timber, you will have a legal obligation to re-establish a forest. This obligation also applies to agroforestry for instance. You have to respect the Forestry Act 2014 (and all other legislation of course) and adhere to all relevant grant aid regulations. It is important to keep in mind that you, as the forest owner, have ultimate responsibility to the Department of Agriculture, Food and the Marine. I also would strongly advise to insure your forest. 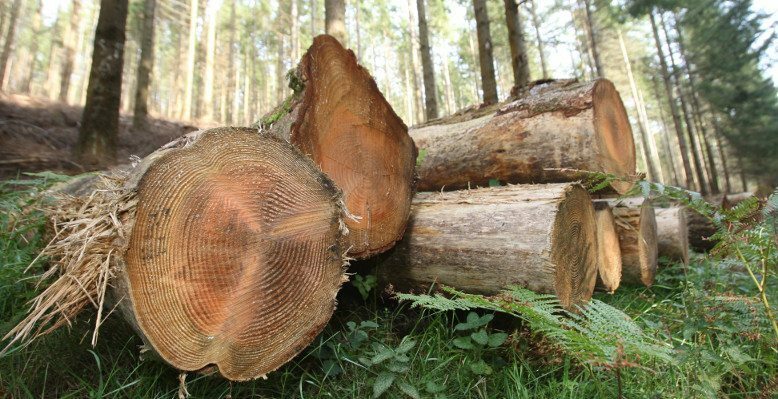 Insurance policies may cover loss of timber value, cost of replanting, fire brigade charges, public liability and employer’s liability. From the above, it is clear that it is essential to do your homework carefully prior to committing yourself. Forestry can be an excellent on-farm enterprise. However, it is a one way street: you need to check out all the pros and cons and see if such an enterprise suits you. Once you understand what is involved and the implications, you may wish to make a grant application. To do so, you need to choose a ‘Registered Forester’. This is an important decision as the Registered Forester will act as your agent and make the grant application on your behalf. If the application is successful and you decide to go ahead; then this person will continue to be involved by coordinating some or all of the work. Registered Foresters work in the private sector, either as consultant foresters or attached to forestry companies. A list of Registered Foresters is available from www.teagasc.ie/forestry. It is a good idea to discuss your plans with a number of consultants / companies. This gives them an opportunity to explain to you what they can offer but it is equally important that you explain clearly what you want. This will help to avoid misunderstandings later on. Walk the land in question with each consultant / company and ask for references so that you can visit some of their projects in your area. Also ask your neighbours about their experience. Make sure that the consultant / company understands how other support schemes interact with forestry. You don’t want to lose your BPS payment! The Registered Forester of your choice will then make a forestry grant application, dealing with the above mentioned restrictions. The application process may take a few months. Once the approval has been issued, you need to decide if you wish to go ahead. If you will go ahead, ensure that you have a written contract in place before any work begins. It is also a good idea to refer the contract to your solicitor.